What does it take for a child to become the next Wayne Gretsky, David Beckham, or Peyton Manning? Parents may feel pressured by coaches or by their own desires to push a youngster to greatness by focusing on the same sport seven days a week, all year round. It’s especially difficult to tell a child to “slow down” or “branch out” when the child clearly enjoys the sport and wants to play in all of his or her spare time. However, physicians, athletic trainers, and sports podiatrists agree that sports specialization hurts kids, and can increase the risk of injury, including injuries of the feet and ankles. 50% of youth sports injuries are identified among children who specialize in only one sport. Specialization makes children 70-93% more likely to suffer an injury. 93% of NCAA coaches prefer high school recruits who play more than one sport, as they’re more resilient. Female athletes who specialize in one sport are more likely to develop anterior knee pain and trauma. Children specializing in one sport have a higher risk of adult inactivity and obesity due to burnout. A 2013 survey conducted by the American Medical Society for Sports Medicine found that 88% of college athletes participated in multiple sports (usually 2-3) as children. The athletes were more likely to have long, healthy careers and developed sharper skill sets associated with all the different sports that carried over to whatever activity they were doing. Seventy percent of those who did end up specializing did so after age 12. 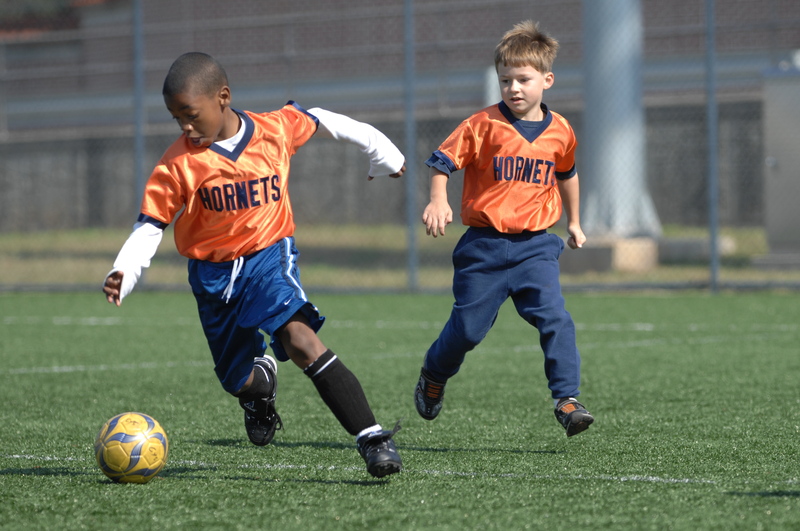 What Is the Right Age for Child Sports Specialization? Much research focuses on “12” as the magic number for starting to think about specializing, but most of our fellow sports podiatrists recommend later specialization at 16 or 17, after the body has more time to develop. Even then, some time should still be devoted to other types of physical play. Time off to rest and relax between seasons and at least one or two days a week is important as well. Respected youth sports researchers Jean Cote and Jessica Fraser-Thomas believe the best young athletes accumulate around 10,000 hours of general sports play by age 20, but no more than half of that needs to be in their sport of choice. They recommend breaking it down as follows: 80% of time played in a sport OTHER than their preferred sport prior to age 12; 50/50 split between chosen sport and other athletic pursuits from ages 13-15; 80% of training in the chosen sport after age 16. The Center for Podiatric Care and Sports Medicine is an excellent ally in keeping your child healthy and happy during a long lifetime of athleticism. We can share our best injury prevention strategies with your family, help your child develop different athletic skills, detect gait anomalies, and recover from foot and ankle injuries if they occur. If you live in the New York City/Westchester metros, contact us to meet with our team of sports medicine doctors.